Neat print on softest, washable, 100% silk jacquard, meant to fade over time. 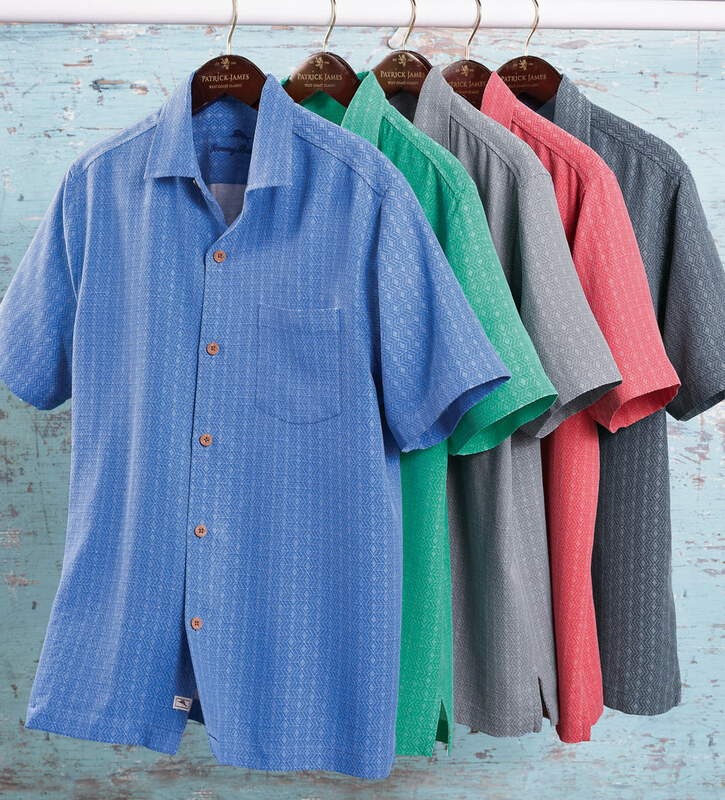 Short sleeves, spread collar, chest pocket, straight hem. Machine wash. Imported.